AMSTERDAM – Thursday February 1, Cygnific, the Sales & Service Centre behind KLM’s successful customer contacts and social media service, celebrated its twentieth anniversary. 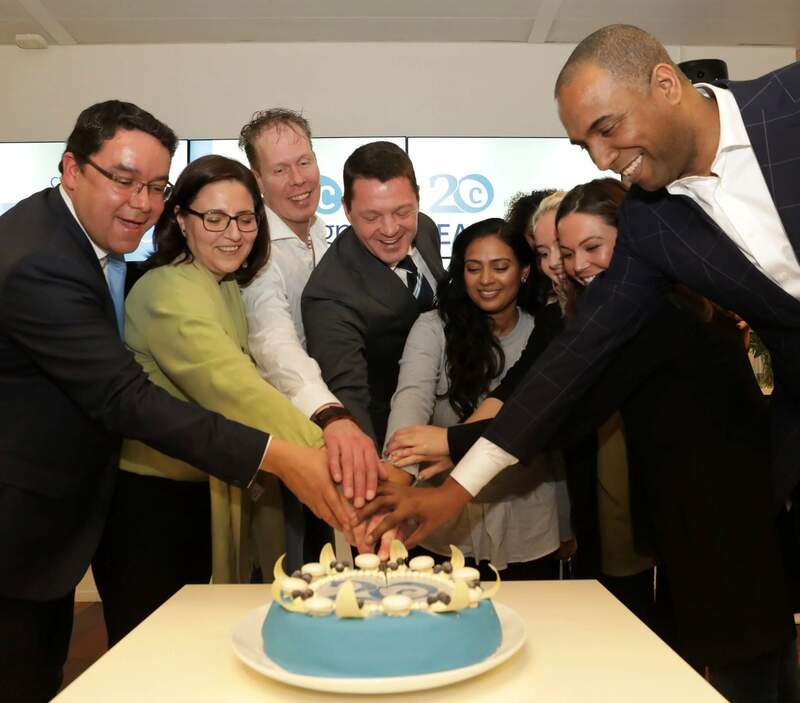 President and CEO of KLM, Pieter Elbers, cut the cake during a festive gathering with the staff and praised them for their indispensable commitment. In his speech, Mr Elbers emphasized how important the company is to KLM. ‘KLM and Cygnific are strongly intertwined. With four million social media messages, one million phone conversations and 500,000 e-mails, Cygnific plays a part in almost every contact moment with our customer. When you realize that Cygnific assisted 32 million KLM passengers in 2017, then it is clear that they have become a crucial part of KLM’s customer experience,” Mr Elbers said. Mr Elbers is clear about the synergy between KLM and Cygnific: ‘’The strength of Cygnific is the balance between having enough distance to be critical and challenging, but at the same time being close enough to know the product. My advice would be: be sure to hold on to that, because our customers are your customers.’’ The staff of Cygnific, with 36 nationalities speaking 18 different languages, is a perfect representation of KLM’s customer base, which is 80 per cent non-Dutch. Since 2017, Cygnific’s expertise and skills in customer service have been applied at other parties than just KLM, Air France and Delta Airlines. Cygnific also works on an unique customer experience with the Air Miles Loyalty Programme and the retail chain Hudson’s Bay in the Netherlands. KLM encourages its subsidiary to extend its customer base with other parties that want to use Cygnific for their customer services.